Plastic bags are one of the most obvious displays of our throw-away society. In Australia alone, we use over 4 billion single-use plastic bags every year, that's over 10 million each day! Plus, the life of a plastic bag once it's in the hand of a shopper can be counted in minutes, andbecause only 3% of them are currently being recycled, 200,000 bags are dumped in landfill every hour, and they take between 15 and 1000 years to degrade. Plastic bags have many negative impacts on our planet, animals and the community. In the marine environment, they are commonly mistaken for food like tasty jellyfish, and a great variety of animals like birds, whales, seals and turtles, can choke to death, die of starvation or infections because they have ingested plastic bags. Many critters also get entangled in plastic bags and packaging floating in the oceans, which can cause them injuries, starvation and even death. 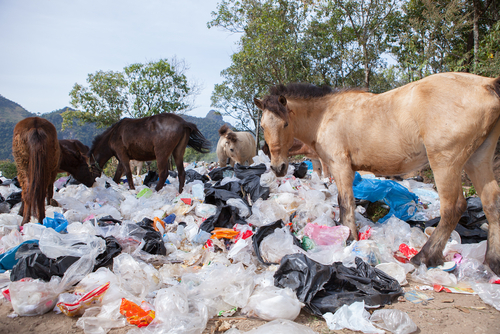 It is also estimated that 30 to 50 million plastic bags end up as litter on our beaches, streets and parks and it costs governments, businesses and community groups over $4 million a year to clean up littered plastic shopping bags. Imagine the changes that could be made in our community if the government spent this amount on education, cultural or environmental programs? Plus, plastic bags are produced in factories that use energy made of gas, oil and coal. These production processes emit high amounts of dangerous greenhouse gases into our atmosphere, which contributes to global warming. Plastic bags also made of petroleum, which is a non-renewable resource rapidly depleting which we should stop using altogether. Go plastic bag-free! Stop using plastic bags at the supermarket and bring your own reusable bags. You can buy envirobags from your local supermarkets, but remember to reuse them. Even better, head to your local eco-store and get your own bags made of organic cotton, recycled plastic or from the fair trade industry. Choose food and products that are not already wrapped in plastic. If you have plastic bags at home, make sure they are recycled. They are usually not accepted in your council recycling bin, but there are recycling facilities available at most major supermarkets likes Coles, Woolworth or Franklins. Find out more about your local recycling facilities here. Support the work of environmental charities like Clean Up , Take 3 & Keep Australia Beautifu l , participate in clean-up days and events. Spread the message and inform your friends and family about the impact plastic bags have on our environment to help them make more conscious choices. To solve this plastic pollution problem, the ultimate solution would be for every single person in the world to prefer using environmentally-friendly alternative and to lose their plastic bag habits, and for plastic bags to become obsolete and useless. 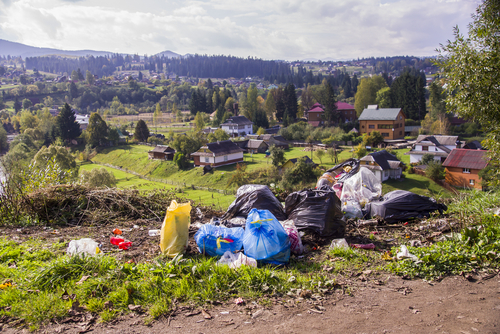 Until we get there, various governments and councils are working on it by banning the use of plastic bags or by implementing plastic bag taxes in their cities, states or countries. This Plastic Bag Ban Map below shows the different states and countries which have banned plastic bags (green pins), which have implemented a plastic bag fee (blue pins) and where plastic bag bans have previously failed (red pins). Visit this website to see the interactive version of this map with more information on each ban. In Australia, plastic bags are now banned in South Australia (since 2009), ACT (2011), Northern Territory (2011) and Tasmania (2013). Coles Bay in Tasmania was the first town in Australia, and one of the first in the world, to ban disposable plastic bags in 2003. Several councils in Victoria, New South Wales, Queensland and Western Australia have also implemented a plastic bag ban, but plastic bags are still allowed everywhere else in these states, which represent almost 90% of the Australian population. Read this next: Jane Fonda and Lily Tomlin: "Women will lead the way"